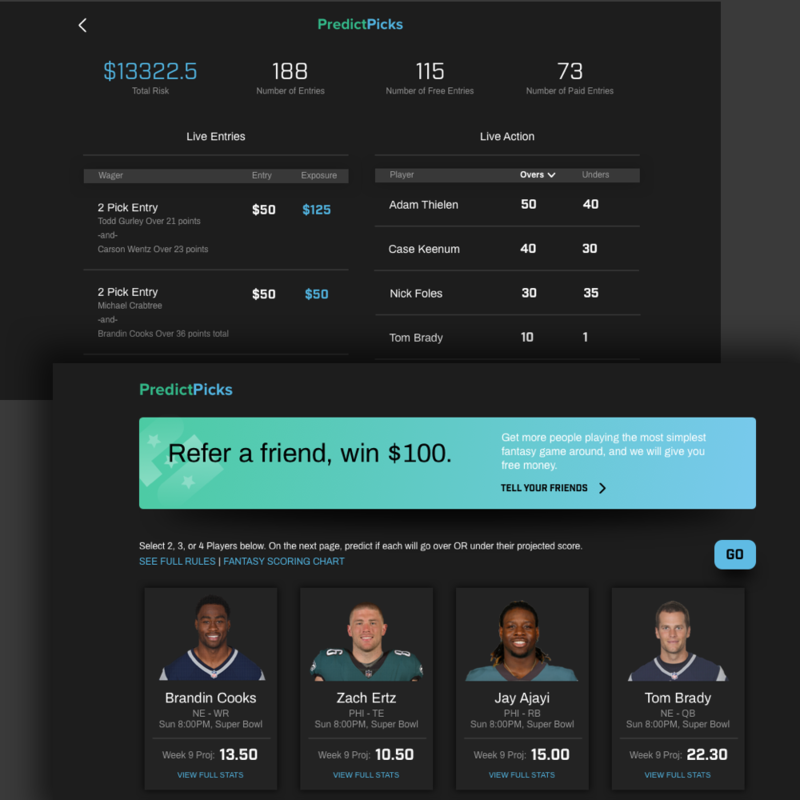 I have been involved with this company, a new player in the fantasy sports space, since they started. 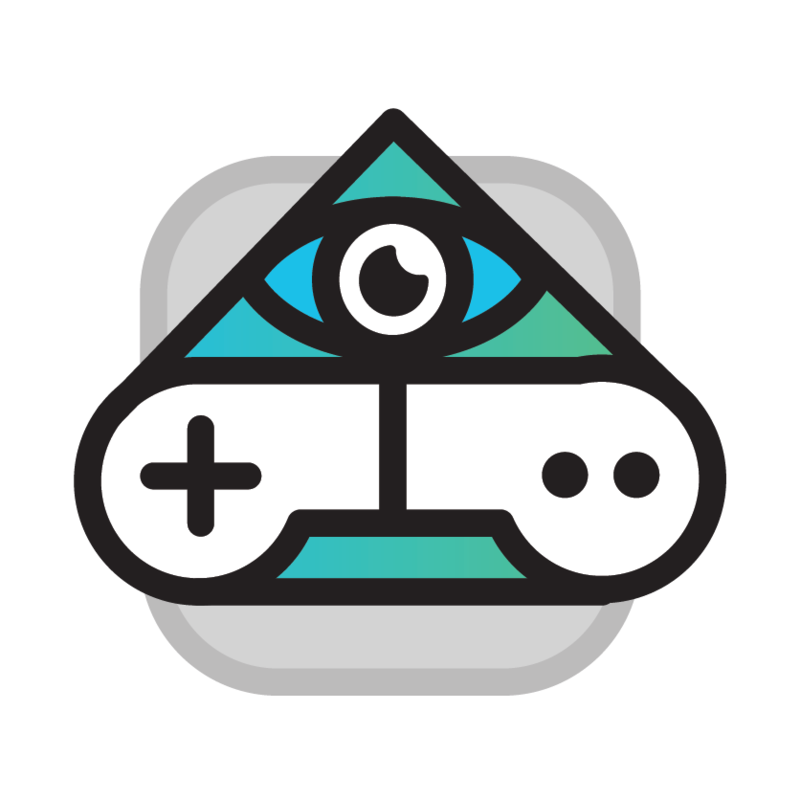 I've handled all things design related, including user experience design, UI and product mockups, branding, social media graphics, and data visualization. 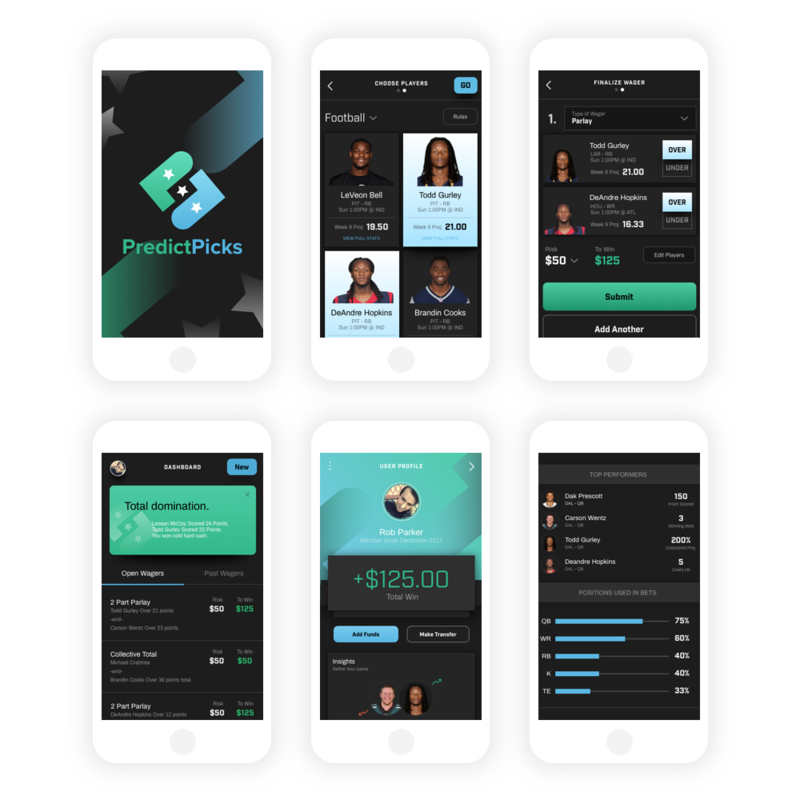 The images below mainly focus on the interface design of the app that allows users to choose players and make a wager on if they will go Over or Under the projected fantasy score.